Yo, T-Mobile, you guys might want to speed that Snap / Dash 2 / whatever along, because you've got a few carriers nipping at your heels with their own WinMo-based portrait QWERTY models fresh out of HTC's foundry. There's a whole jumble of codenames and model numbers used to identify this thing, but basically, you can look at the XV6175 as Verizon's answer to the GSM-powered Snap and S522 -- a device that's been seen in Sprint's roadmap as the Willow and in various regulatory agencies as the Cedar (ridiculous, yes, we know). We don't have any better idea of when it might launch, but in the meanwhile, feast your eyes on this render we've unearthed -- and enjoy the Verizon logo-free bezel while you can, because we'll bet you a bazillion dollars that's not lasting. 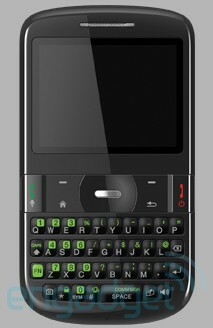 HTC's XV6175 for Verizon outed in render form originally appeared on Engadget on Mon, 27 Apr 2009 23:48:00 EST. Please see our terms for use of feeds.